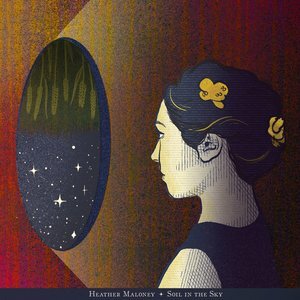 It's always a treat when Northampton, Massachusetts-based folk singer-songwriter Heather Maloney delivers the gift of new music to Mother Earth. Well, the world just got a tender loving care package with the arrival of Maloney's "All In Your Name". The introspective musician with a voice, heart and pen that can express a wide range of emotions — from American beauty and grace to pain, comfort and joy — shares the potently poignant song in the form of a charming lyric video that premieres today at PopMatters. "All in Your Name" is the first single from the 12-song album, which was produced by her bandmate Ryan Hommel, who utilized a notable cast of contributors including Lake Street Dive's Rachael Price, and the Dawes combination of Taylor Goldsmith and his drumming brother Griffin. Check out the official lyric video for "All in Your Name," then learn more about the album, the song and this latest colorful creation from Maloney, who was among my "Fab 5 Artists of the Year" in Music's Class of 18 for '18. "I wrote 'All In Your Name' partially from the perspective of a family member, partially from my own," Maloney offered in an email interview for this article accompanying the premiere. "It was right after a loss in our family, and while that can be a dark place to write from, for me there is a lot of light in there, too. It's really about the strange comfort you can find in the reality of impermanence." For a vivid storyteller such as Maloney, one's imagination is all that's needed to get the whole picture. 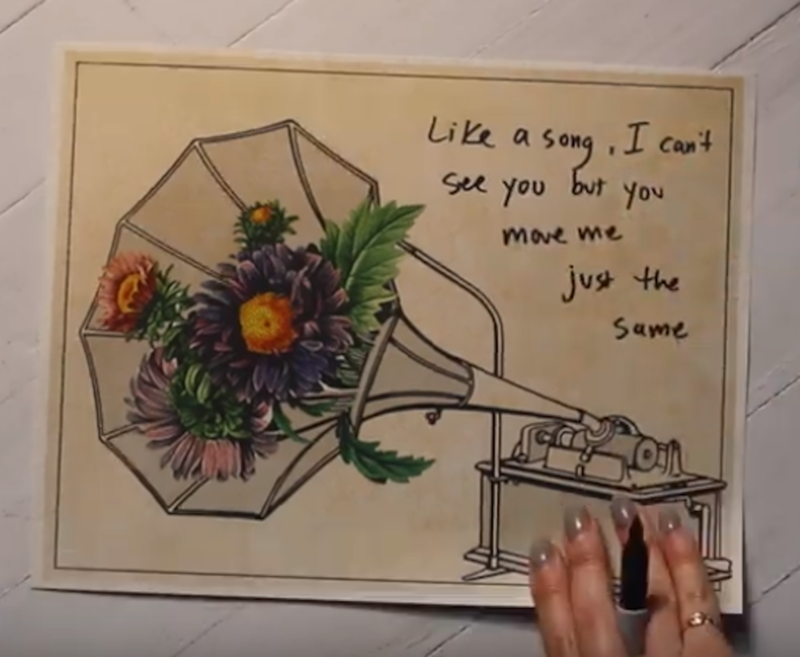 But she enhances this lyric video with lovely and elegant artwork, using her own Sharpie to write the words of the song by hand (and filming only two takes to get it right). "I've always completely devoured the art and lyric books in vinyl or CD jackets, especially while I listen to an album for the first time. Reading along with the lyrics as they are sung brings me right to my happy place," Maloney said in detailing her sources of inspiration for the video. "So I LOVE that lyric videos have gotten more popular in recent years. Since most music is streamed now, I feel like it's kind of a modern version of reading along with the lyric book. "I've watched a bunch of lyric videos before making this one (some with big-budget bells and whistles) but one that stuck out to me recently was Josh Ritter's simple lyric video for his song 'Getting Ready to Get Down', which is literally just Josh writing his own lyrics in a notebook. I love how personal it is and I wanted to make one of my own." 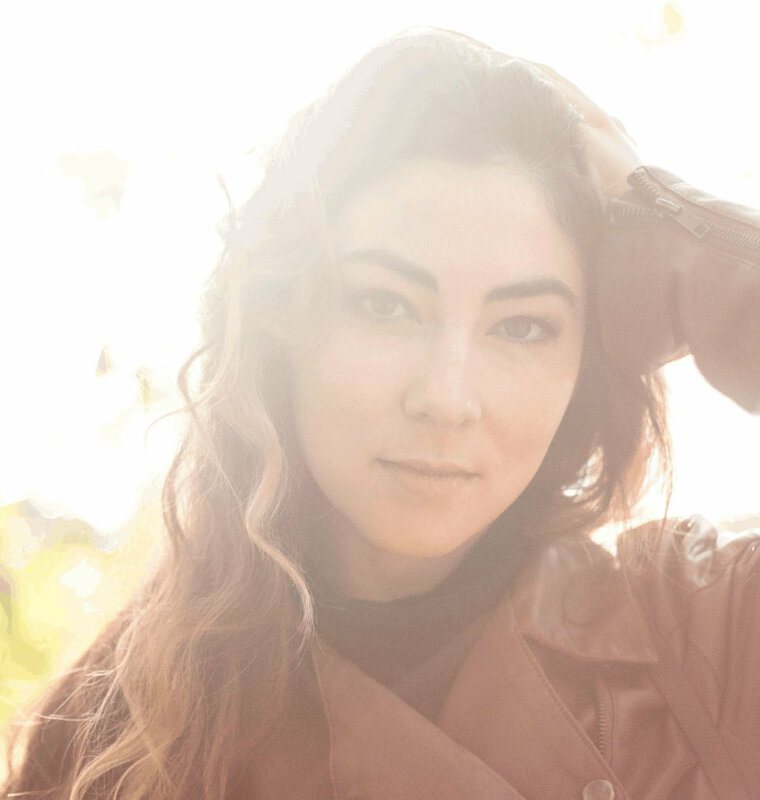 Maloney makes you want to connect emotionally through her songs, whether she's taking you to glorious heights on the Joni Mitchell-like "Flutter" (from her self-titled, Signature Sounds debut in 2013) or bringing you dismally down (but not out). I have been brought to tears while listening to a number of Maloney's songs over the years, including "Making Me Break" (the title song off her 2015 album) and "Bullseye", the incredibly romantic number from her 2018 EP Just Enough Sun that I heralded as my "song fave of the year". While growing as a musician moving comfortably from her 20s into her 30s during a six-year period with this established label, those artistic instincts and skills have helped Maloney improve herself in other ways, too. "I think I've truly fallen in love with the storytelling aspect of songwriting over those years," she said. "I think that's changed me as an artist because more than ever, I make the story the centerpiece of my shows and my recordings. "It's also changed me personally, in my day-to-day non-musical life. It's trained my brain to constantly look at things through a storytelling lens, and I really love collecting material throughout my day that I might use later in a song. I never know what weird little interaction or experience is going to end up in a song. Living with 'songwriter brain' keeps me engaged in my own life in a way that keeps boredom at bay." So Soil in the Sky is the latest project in her personal progression. And Maloney is grateful to rely on an esteemed group to pave the way, starting with Hommel or, as Maloney describes, "the killer manifest-er that he is". A multi-instrumentalist who has performed solo and worked with Amos Lee, the Sweetback Sisters, Seth Glier, and Stephen Kellogg, Hommel plays three guitars and supplies sweet harmony on "All in Your Name", but really makes his commanding voice heard in other valuable ways on Soil in the Sky. "I knew he'd shape the songs on the album to be the best versions of themselves," said Maloney, who also enlisted Hommel as producer of Just Enough Sun. "So I went in with high expectations, but he even blew those away. It's the record I'm most proud of and that's largely because of him. One particularly brilliant move he made as producer was assembling the musicians. He knew which people to put in the room together to make sparks." Along with Price and the Goldsmiths, others appearing on the album are Amos Lee's musical director Jaron Olevsky (keys), Dave Eggar (strings), Reed Sutherland (bass), Emma Burge (violin), Jay Ungar (fiddle), Hayley Reardon (guest vocals) and Caleb Hawley (guest vocals). Taylor Goldsmith, who Maloney said is "one of my favorite songwriters out there", was a "no-brainer" to sing on "We Were Together", her love song (with a nod and a wink to Walt Whitman's poem "Once I Pass'd Through a Populous City") that she and Hommel rewrote as a duet. "I LOVE singing with Taylor's voice," Maloney said, adding that "I'm still pinching myself" after enjoying the recording experience in Los Angeles with the Dawes frontman. 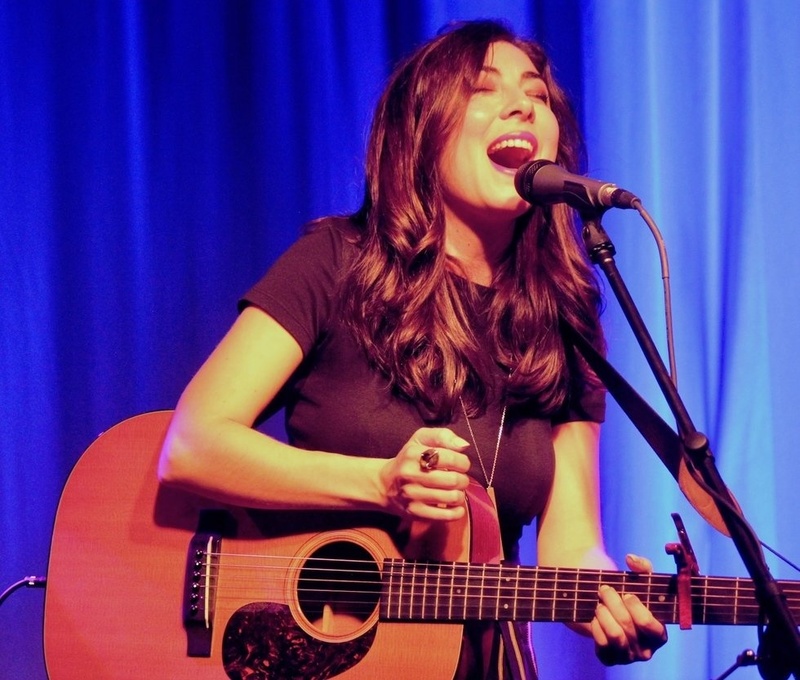 Price was another "dream collaborator" for Maloney, who "did a happy dance" after hearing that Lake Street Dive's outstanding lead vocalist agreed to sing on "Enigma". "It's a feminist song in many ways and I wanted to belt it out with a powerhouse," Maloney said. "Rachael has one of my favorite voices in the world, and to me, I hear so much power and vulnerability in the same voice. That combo is literally what this song is about." One other song Maloney highlighted was "Oklahoma Lullaby", which she wrote after watching Ken Burns' documentary The Dust Bowl. Playing fiddle on that song is Ungar, who in 1982 wrote "Ashokan Farewell", the theme song for Burns' documentary series The Civil War. "I've been hearing Jay's fiddle in that doc since I was a little girl (I remember when they wheeled a big TV into my grade-school classroom and showed that doc) ... so it was extremely special to have Jay's fiddle on a song that Burns inspired," Maloney said. While those sources of inspiration keep pushing Maloney into previously uncharted territory, she continues to stand firm on solid ground while addressing the biggest lesson she's learned along the way. "It's a lesson I am still learning, in the context of music and in the rest of my life: Letting go of attachment to the outcome," Maloney said. "When I make music, it has to be because I'm madly in love with making music, or because it's an absolute need in order to get through something tough. Or just for the simple joy of it. "The moment I start writing from a place of wanting some outcome (approval, more success, etc. ), I am miserable and the song is tainted with expectation. Protecting the joy of songwriting in an industry where I'm constantly told that I have to 'make it' has not been easy, but it's what keeps me happy doing what I love." After Soil in the Sky, it might be awhile before she gets to share the next chapter of her story, but expect Maloney to keep digging up more deep truths — while grinning from ear to ear.